Jen and I hope you've been enjoying the posts on drafting thus far! There is so much information to pack into each topic and so many topics within the whole realm of drafting that it was hard to decide what to share and what to leave out for the sake of succinctness. While writing this series, we both found ourselves thinking about why we draft the way we do. Someone - I think it was my old school teacher - said that you never understand something so well as when you have to teach it to someone else. Can't speak for Jen on this, who's always been a fabulous drafter even as a teenager, but I've learnt a lot about my own drafting just by dissecting it to share with you. When our kids are old enough to sew for themselves (that would be at the grand old age of 10, y'hear, kids- are you reading this?) Jen and I shall hop on a plane to London and BEG the folks at Savile Row to take us on as free apprentices. We will make their coffee. We will unpick their seams (not that there will be many). We will lint-roll their WIPs. We will do all the ironing and pressing. Just please take us on. Please, please. Even if I don't know if I personally will ever be interested enough to tailor a men's suit. I just want to walk on hallowed ground and grovel. Sigh. It's nice to dream. But here is my point, and the reason I put this right at the top of the list: there are such things as drafting courses and classes and dressmaking schools for general everyday folks that don't require sycophantic wheedling. I don't know how or where to find them in my area but I'd love to take one if I did. Nothing - not even the best print resource - comes close to learning from a real person you can hear, watch, ask, imitate. If you have the money for either -but not both - a dressmaking class or a good drafting book, pick the class (duh). I'm only scratching the surface with these - there are so many other pattern-drafting sites available on the internet. These are just the ones I am personally familiar with. Tagged as "your primary source or recreating vintage fashions", this is also a goldmine of basic, classic tailoring information. More text than step-by-step photos, it reads like a well-organized textbook that cuts to the backbone(s) of patternmaking. None of the glitzy shortcuts that often sadly undermine the modern sewing movement - just good old-fashioned foundational drafting, with fascinating history thrown in. A fabulous resource that I highly recommend. This is my go-to site. I can't remember when it was that I first stumbled upon this site, but I immediately bookmarked it. All those pattern drafts! Sometimes all a person needs is a sketch of a draft for the light to go off in one's head - like, "oh......! Is that what an XYZ collar looks like in draft?". But to see it in proportion as a real pattern is like being given free nutella a gold ingot a whole week of free babysitting something extremely nice. Her tagline says it all: "This Blog Deals With Sewing". I've always had a soft spot for the more traditionally ethnic outfits of my culture, which tend to be fitted, elegant and non-elasticized, and Vani drafts these and more. I must be one of the few people in sewing blogland who doesn't read this on a regular basis (no time), but I wish I could. All sorts of garment sewing stuff here, and sometimes drafting and pattern alteration. Check out the section on Fitting for pattern-drafting tips and tricks. I chanced upon the New Mexico State University (NMSU)'s extension service months ago while googling some sewing thing (forgot what it was) and realized the wealth of information in some of these educational publications. Clothing being textiles-related, was within the main Agricultural, Consumer and Environmental Studies department, so obviously, you'd want to focus on the section within your interest boundaries and not stray off to, say, crops or water treatment technology. Here are some examples from NMSU's publications: sleeves, taking measurements, sewing machine maintenance, and a very nice pictorial overview on common fit problems and how to correct them. My sister-in-law Joy made a neat list of the different sections within another university's extension service (Texas A&M) that deal with specific fit issues. Jen and I both like our old Homec textbooks! 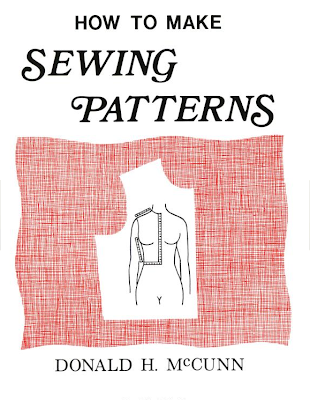 And another couple of books which are similarly out of print: Drafting, Cutting and Sewing in Dressmaking and Designing and Drafting Office and Casual Wear by Pauline SE Gan who ran a dressmaking school in Singapore and published these books in the late 80's and early 90's. Sadly, these books can now only be found in reference libraries in some obscure part of Asia. I'd love to be proven wrong about this, though, so if anyone finds them on ebay or somewhere, tell! Of all the drafting books I've heard about/personally flipped through/somewhat read, this is the one I'd buy. If I hadn't already spent all my sewing allowance on fabric, I mean. It has great reviews from a lot of sources. But since I don't actually own this book (yet), let alone use it, I can't say more. 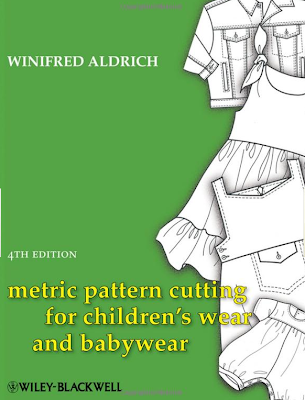 both by Winifred Aldrich (who also has a men's wear version, and another on using the individual qualities of fabrics for flat patterns). Not as comprehensive as Armstrong's, but slightly more affordable, with also generally good reviews from various sources. Again, I don't own either of Aldrich's books, so I won't say more. A no-frills, affordable alternative to the earlier three books that has sloper drafting instructions. I actually own this book, and read it in one sitting on the interminable aeroplane flight to Singapore in March. The approach in this book relies quite a bit on draping with a muslin to achieve a final fit but it is a useful first book for very beginning drafters. This book will not teach you to draft slopers but it will show you how to make a lot of different patterns from them. Q Why this is such a short list? A Probably because I've not personally read any others or even heard about what other people have said about them. 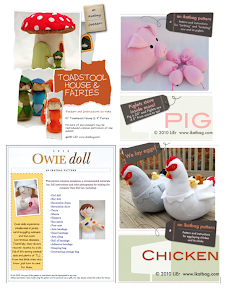 Q Why haven't you included some of the very popular pattern books that are on everyone's blogs? C'mon, you must have seen them! A Yes I have! And it was exactly because they were all over blogland that I was curious and flipped through them in the bookstore. Part of their charm is that they are visually gorgeous. However, I found them heavy on application (lots of quick patterns) but skimpy on foundation (principles, basic blocks, explanations and sloper-approaches to patternmaking in general). Nothing wrong with that at all - just not adequate as a drafting textbook or reference book for folks wanting to really learn to draft from scratch. These are not really in the realm of custom drafting but are very useful if you are making commercial patterns yourself and aren't keen on measuring every random child in your neighborhood to get a good range of sizes (not to mention that hounding the neighborhood children is insane and will get you instantly and permanently labeled as the Community Weirdo among the other parents). If you are a purist custom drafter, you will probably never use these tables, but I included these links because I know some of you want to make or are already making patterns to sell and want to grade them in different sizes. You might want to remember that standard measurement tables may not fit real people, but they are a good starting point. Here's an overview on standard clothing sizes, more for buying clothes than sewing them. Burda has a similar chart - again, more for conversion than drafting. Threads magazine explains what pattern grading is, and how it's done here. National Bureau of Standards Body Measurements Tables, of which this is the document for children and infants. Here is another set that includes measurements for men and women. And now it's your turn: what sites, books, videos, forums, groups, courses or classes have you tried and found useful in your own drafting and sewing-from-scratch? 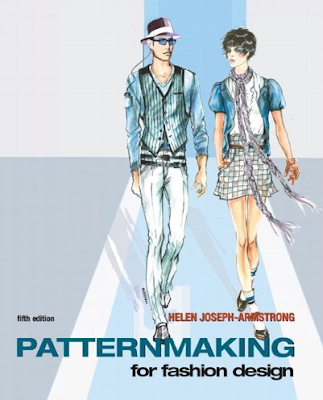 I don't have the time or inclination to trawl the internet for sites but I know there are dozens of great websites and blogs on which a person can find actual patternmaking and pattern adapting tutorials. Please feel free to recommend them or review them in the comments below. Or blog about them and link back to your own post in the comments so everyone can read them! I have just flipped through your blog, and wanted to say how AMAZING it all is. Loved the tea party. And the sleeve tutorial is awesome. I will be popping back in to get more wonderful tips. Thank you. I wish you would sign up for a class on Savile Row ... Then put out a little hint for contributions. I bet a lot of us who have benefited from your brilliance would love to contribute ... after all, we would probably get to live vicariously when you blogged about it later! 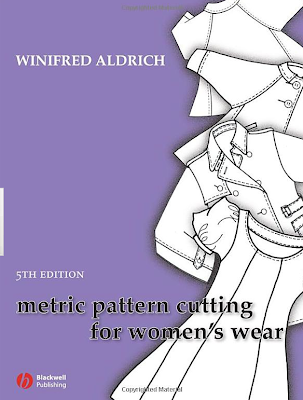 i just checked out new mexico university's pattern fitting guide - it's very comprehensive! thanks! I love your blog PS , don't think I have commented ever but your sewing skills are fabulous and you are great at explaining techniques and ideas to others. Thank you for all the great ideas! Tricia: I hadn't actually looked at the heights in those charts, so that was news to me too. Can't believe they stop at 5' 6" (or 5' 6.5", as the catalog chart right at the end does). Of course there are women taller than that! That said, I've never used height in drafting before. Or age, as commercial patterns for children seem to use. I know it's for convenience but I've always found those two particular statistics quite ridiculous for sizing. Nobody ever makes a dress pattern using one's full height! Unless it's for a diving suit, maybe! MaryAnne: I forgot to answer your comment in the comments here and emailed you instead! So I'll just repeat what I said here. Yes, I've read Patch's book. 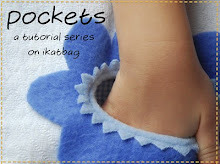 It is beautiful and fun and quickly inspires one to make garments! However it is much more a patternmaking book than a drafting reference book - quite different level from Aldrich's, Armstrong's, or even McCunn's. Still, I applaud her for making such a technical subject accessible. Re: Weekend Designer. Most of his content is copied and pasted from other authors. Iow, his "generosity" comes at the expense of others who he does not cite, credit or link to. Handsome is as handsome does. I know because I have most of the pattern making books there are, including the first known pattern making book published in the 16th Century (Alcega). I've been a pattern maker in the garment industry for nearly 30 years. Probably the best, most comprehensive and least expensive book to buy for pattern making is Jack Handford's (about $40). Of all the pattern book authors, he's the one with the most work experience in the industry. Imo, his is the book with the most bang for the buck. If you only wanted to buy one book, this is the one to get. It covers drafting for men, women and children. Re: Resources. My site has a lot of tutorials that bridge the gap between books vs actual practice. http://bit.ly/iLtvp There's tons of instruction on drafting and sewing the finishing touches like zipper closures, sewing welt pockets, bagging jackets etc. Hi-- I just discovered your site from How About Orange. Can't wait to check it out further. I've been using the Helen Joseph-Armstrong book (from the 80s) for years. I also have a mystery book (photocopy with no cover) from the 60s that has size charts for teens, misses, women and petites, which I have used for slopers. I have used the 1930s edition of the F.R. Morris book (1940s edition is on VintageSewing.info site). It is wonderful once you get the proportion system figured out. I used it with great success for larger ladies. The 30s edition is an odd book with lots of words to wade through before you get to the actual pattern draft. I finally made a cheat sheet of measurements and proportions to place in the front of my copy. The F.R. Morris books are written more like tailoring books, so the system of drafting may be more difficult for some than the more standard women's drafts. I like any book that has size charts for slopers, as I think you have a better chance of getting a balanced draft than by using (flawed and innaccurate) measurements.